In a “perfect world,” you want to mail in your application and have Social Security send you a disability check every month. Right? Step #1: You spend several days filling out forms. For the typical application, you’ll end up filling out over 90 pages! Step #2: Your relatives, friends, former co-workers and doctors must also fill out forms, sent to them by the Social Security Administration. They will call you asking what they should say. Step #3: You wait for six months. Step #4: You wait for a few more months. But why? What in the world did you do wrong? Frankly, you’ll never know because Social Security won’t tell you. And you had better prepare yourself for a wait – because the Social Security Administration recently admitted that the average claim takes a staggering 1,146 days – almost 3 years to be processed through the system, while the time actually spent by federal and state workers working on your claim amounts to – are you ready for this – only 7 days. This means that while you patiently wait for the Social Security employee to review your file, your file is just sitting there in a warehouse, gathering dust. I wrote the Disability Answer Guide because I know that in order to win early, you have to give the Social Security claims adjuster exactly what she is looking for – otherwise, it is simply too easy to stamp your case as “denied” and put it back on that big pile of denied claims files on a table. Social Security has certain ways they want you to fill out the forms. Certain types of answers they want to see. Certain “magic words” they want to read on your application. But you’ve never filled out a disability application before. You don’t know if they want long answers or short answers. You don’t know what they’re looking for. You don’t know the words you could use that would bring you a quick approval. You may not even know what Social Security’s abbreviations like SSDI, RFC, UWA, AOD, DLI, Title XVI,Title II, HALLEX, ODAR or ALJ and stand for. And there are no instructions on the official Social Security Administration web site. Incredibly, Social Security does not publish any directions that explains how to complete their forms. It’s like taking a test with no one telling you what to study! So where can you find this information? You’ll discover all the information you need in my new Disability Answer Guide. In a moment, I’ll explain how you can order a copy of this valuable handbook. But first, let me tell you about my former client, Roberta (I have changed some of the facts to protect her identity). Roberta Takes On The Social Security Administration. Don’t You Make The Same Mistake! Roberta stopped working in March, 2010, due to back problems. She decided to apply for disability benefits the following October. In November, Social Security sent Roberta 16 pages of forms. They included Form SSA-16-F6, a 6-page document consisting of 22 questions — and Form SSA-3368-BK, a 10-page document asking for detailed information about Roberta’s past work, the names and addresses of her physicians, and facts about her medical treatment. Roberta filled out the forms the best she could, but did not know to list a job she held for only 2 days (this was an “unsuccessful work attempt” and should have been included). She listed only 3 of the 7 doctors who had treated her over the past five years because the form had space for only 3 names. Roberta used March 15, 2010 as the date she became unable to work. But her niece, who was her supervisor, knew that Roberta was not able to work and spent most of the time resting on a couch in the back room, dating back to November, 2009. In addition to her back problems, Roberta had carpal tunnel in her writing hand. This meant she could write for only 5 to 7 minutes at a time. Even worse, she had trouble concentrating due to severe headaches. On weekends, Roberta’s daughter came over and helped her fill out the Social Security forms. Between the two of them, the difficult process of completing the forms took almost a full month! Finally — fearing the forms would be late — Roberta asked her daughter to finish filling them out and put them into the mail. Since her daughter had only one hour available, she wrote quickly, forgetting about Roberta’s carpal tunnel problem. What’s more, the daughter did not mention her mother’s incontinence because Roberta was too embarrassed to tell her daughter that she wore adult diapers. You can guess the end of this story. Social Security did not get the full story and they sent Roberta a letter denying her claim. Roberta was so discouraged by this denial that she let the whole matter drop. And by the time she came to me, her credits for disability benefits had run out and there was nothing I could do for her. Here’s something equally as sad: the problems Roberta and her daughter faced collecting information and filling out the forms are common. Roberta’s case is the rule, not the exception. I know — because as a Social Security lawyer — and member of the National Organization of Social Security Claimants’ Representatives (NOSSCR) — I’ve represented more than 1000 clients who have filed claims for disability benefits. I’ve talked with hundreds more, giving them advice about how to collect evidence, fill out forms — and, in fact, whether their case is even worth pursuing. When I speak with potential clients, in seconds I can spot the easy winners. More important, I know exactly what it takes to turn any good case into an almost certain winner. Now I’d like to help you. Fortunately, you don’t have to repeat Roberta’s terrible experience. Instead, you can follow the sample forms in my Disability Answer Guide, where I give you the answers Social Security looks for — and the “magic words” that will get your claim approved. I am still in the process of getting my files into Social Security and if I get the award the first time you will have saved me $$$ and a big headache. The fact that I can claim disability back to the date of my first problem and add an extra month of back benefits – wow that’s great. I learned from your audio disc that it was better to use July 31 instead of August 1 as my last day of work. I’m not sure but I think you helped me claim two extra months of disability. God bless and thanks. I Never Won Until… In the early 1990s, I was a struggling Social Security lawyer and it seemed that I could not win a case. It didn’t seem to matter what was wrong with my clients. They could have heart problems, a bad back, diabetes — almost anything. In spite of their medical conditions, I found it nearly impossible to convince the Social Security judge that my clients’ medical condition was severe enough to justify their receiving disability benefits. Dear Jonathan: I am writing to let you know that I qualified for disability with the first try. Your info really helped me a lot. Thank you so much. Also wanted to let you know my father applied for disability in December 2003 and he was approved last month. He will be getting his first check in May. This is all thanks to your Disability Answer Guide. Thank you very much. Dear Jonathan: I am happy to report that SS accepted my paperwork on the first try thanks in part to the information received from you. It is the best century note I ever spent. Thanks again Jonathan, by the way the SS payments start July 1. You are the man. Copies of the official Social Security disability forms already filled in with sample answers to each question. This allows you to complete any Social Security form in no more than 10 minutes. Had Roberta and her daughter used my Disability Answer Guide, their experience with Social Security forms would have been very different. Use My New Disability Answer Guide. Two Functional Capacity Evaluation Forms. Your doctor wants to help you, but often doesn’t know what Social Security looks for. You’ll receive the “Functional Capacity Template” I send to treating doctors. This template — which I adapted from the official form Social Security uses with their doctors — solves this problem. This powerful form makes it easy for your doctor to translate your medical problems into the specific work limitations considered by Social Security — exactly what they need to approve your claim! I even point out which questions are most important and the answers we need from your doctor to help your claim. 3 real-life examples of claims my clients won! I have searched my files and found three excellent examples of favorable decisions. These will help you see how Social Security judges think and how they analyze evidence. I had “marked up” these decisions with my own notes so you can follow the judge’s analysis — so you see exactly what the judge found convincing. Since you, too, are looking to win your claim, you’ll find these decisions invaluable. What’s more, since Social Security decisions are not public documents, I can release these documents to you only because my clients have given me their written permission. I gained a lot of knowledge out of Jonathan’s free mini-course. It really helped me understand how Social Security evaluates my case. I can’t remember all of the doctors I have been to in the last 10 years, so I am going to request a copy of my Medical Information Bureau report just like Jonathan recommended in Lesson 5. Fill out forms in minutes, not days. Roberta and her daughter could have filled out all the forms in about an hour, rather than needing four long weeks. Provide necessary facts, even when you don’t have enough space. Roberta and her daughter would have known that they could attach an extra page listing the names and addresses of Roberta’s doctors, rather than making yet another serious mistake on the application form. Find and list Social Security’s accepted symptoms. Roberta and her daughter could have described her symptoms in terms of work limitations like the examples included in the Disability Answer Guide (Click here to Order) to speak Social Security’s language. Describe Social Security’s accepted activity limitations. Roberta and her daughter would have known how to describe common activity limitations associated with Roberta’s medical problems. Plus, she would have known exactly where to list them on the forms and which limitations are the most important. Report the all-important “unsuccessful work attempt”. Roberta and her daughter would have known that the 2-day unsuccessful work attempt was important to her award of benefits. Plus, she would have known where and how to list it. Get paid more retroactive benefits. Roberta and her daughter would have known that the start date of her disability was actually in November, 2009. Plus, they would have known Roberta could claim disability benefits for the four months when she received special considerations from her niece (supervisor). Receive free medical evaluations. Roberta and her daughter would have realized that Roberta’s poor concentration and slow pace at work were relevant “disabling” conditions. Plus, they could have used my recommended language to trigger Social Security to schedule a free psychological evaluation. Handle new information. Roberta and her daughter would have known how to add facts to Roberta’s application if new information came to mind after they mailed their form. Identify your “primary treating physician”. Roberta and her daughter would have known how to add information to Roberta’s application so she could identify her main doctor as her “primary treating physician”. Enlist your doctor’s cooperation. Roberta would have been able to contact her main doctor to alert him that Social Security would be contacting him so her claim didn’t come as a surprise to him. Help your doctor help you. Roberta would have been able to take her main doctor a blank Functional Capacity Form (found in the Disability Answer Guide) (Click here to Order), along with a completed copy showing the most important questions and suggested answers that her doctor could use to support her claim. 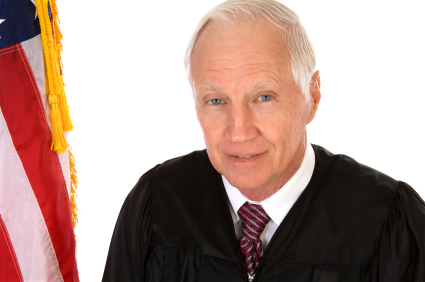 No matter what you do, Social Security sends some cases to a hearing before a Judge. They may be unusually complicated, you possess a great number of transferable skills, or you may have one or more prior applications that have been denied. This raises the question: if your case goes to a hearing, does it really matter what you say in the Social Security forms? Help ensure your success. If your case goes to a hearing, your lawyer will thank you because your case file will be complete and accurate. Provide consistent answers. If your answers at the hearing are different from your answers on your disability forms, the Judge will ask you to explain why. When you use this Disability Answer Guide, you avoid embarrassment by making sure your answers are consistent. Over the past 17 years, I’ve represented hundreds of disability clients who applied for Social Security Disability benefits. I’ve invested thousands of hours representing disability clients before Social Security Judges. I have been selected to serve on the faculty of leading continuing education providers to teach live continuing education seminars about Social Security disability and I teach lawyers throughout the United States via an online service called “Solo Practice University” about creating their own disability practices. Now, I have assembled all the Social Security forms — complete with time-proven answers — plus detailed instructions and explanations — into my Disability Answer Guide. With your permission, I’d like to share this unique guide with you, so you can win your disability claim. If you hire an experienced Social Security lawyer to fill out your forms, you could easily pay $250 per hour. In total, you would pay between $5,000 and $6,000 for the lawyer’s time. ‘If you asked a lawyer to accept your case on a percentage basis, you could get a Social Security lawyer to take your case for 25% of your past due benefits. This, too, could cost you many thousands of dollars. If you are near my office, and if I have time in my schedule, you could ask me to represent you. The lawyer’s contract I use — which is approved by Social Security — allows me to keep up to $6,000 of your past due benefits, even if we do not go to a hearing. What value would you put on your time if you needed 4 weeks to fill out the forms? 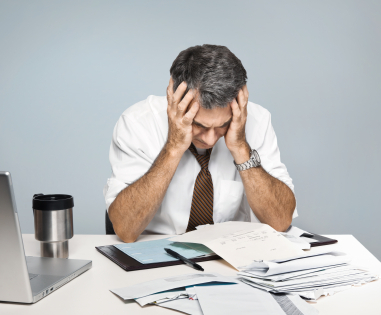 What is the cost to you in aggravation, frustration, stress, and worry — when you try to fill out over 90 pages of government forms!? When you receive this Disability Answer Guide (Click here to Order), you’ll hold in your hands thousands of dollars worth of completed forms and compelling statements written specifically to convince Social Security to approve your claim. Over the years, I’ve seen many deserving people get turned down for disability benefits. As a result, I’ve decided to offer this guide for what I think is a fair, yet very low, price. I could easily justify asking you to pay $1,000 for this information. $799 would certainly be fair. $499 would be a bargain. Still, my primary goal in publishing this information is not to make money. My main goal is to help you — and thousands of other people — get the disability benefits you deserve. As a result, I’m working hard to keep the cost of this program to a minimum. So today, I’m proud to offer this program to you only $125.00. I Guarantee You’ll Be Pleased With This Disability Answer Guide (Click here to Order). 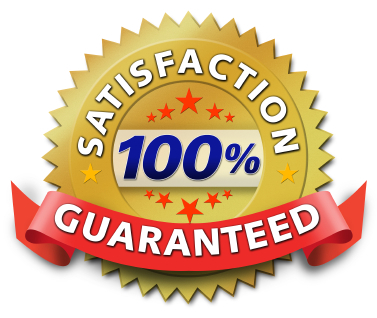 If you aren’t pleased for any reason, I will refund every penny you paid, no questions asked. And while I can’t promise your Social Security Disability claim will be granted (because no one can guarantee what the government will do! ), I can guarantee that you will save many hours of time and dramatically reduce your stress if you follow the simple instructions in this program. Please Understand: the lawyer’s rules of ethics require that I tell you that no “how to” guide — like the Disability Answer Guide (Click here to Order)— will serve as a substitute for personal legal advice from an experienced lawyer. Further, your purchase of my Guide does not create an attorney-client relationship (see the Disclaimer section of this web site for more detail). However, if you put forth a reasonable effort towards your own disability case, the Disability Answer Guide (Click here to Order) will save you a great deal of time, stress and heartache. Reduce your stress, hassle and worry. Look at it this way: $125 is a drop in the bucket compared with the thousands of dollars of Social Security disability benefits that could come your way in future years. And while these benefits will not solve all of life’s problems, your Social Security disability award will permit you to live independently and with dignity, without becoming a burden to your family. 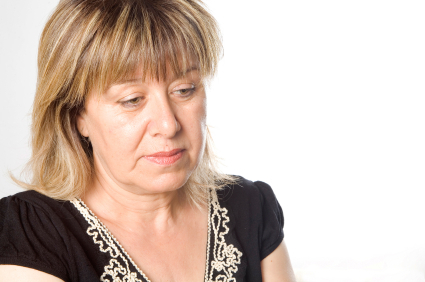 Don’t risk saying the wrong thing that causes Social Security to deny your claim. Don’t risk putting harmful or incorrect information into your permanent record. In my Disability Answer Guide, you learn exactly what to do — and how to do it. Start Now. Please don’t delay. The Social Security Administration has money waiting for you. The problem is: it’s in their bank account, not yours. 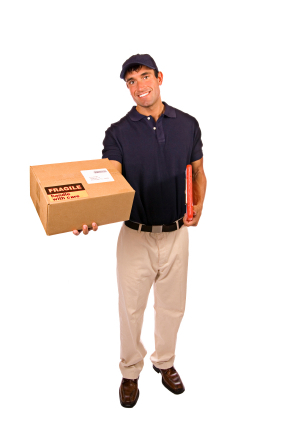 Order your Disability Answer Guide today. I promise I’ll help you get the benefits that are rightfully yours, as soon as possible. We can start right now. To Order: Click Here, fill in the blanks, and give me your credit card number. Or you can pay with PayPal. Within 5 minutes, you’ll have immediate, unlimited access to the exact forms and samples I use to win cases for my clients — sample forms — correct answers — “magic words” and phrases. P.S. If you have decided not to order, please click the highlighted text. P.P.S. The Disability Answer Guide is for adult disability applications – if you need to apply for a child’s disability, see our Child Social Security Disability web site. P.P.P.S. Just think! You’ll never suffer through the pain and hassle of trying to complete a long, confusing Social Security Disability form. You’ll never pay a fortune to hire a lawyer before you really need one. And even if you do ask a lawyer to represent you at a hearing, you can be sure that you laid a solid foundation with accurate, complete, credible responses. My Disability Answer Guide puts your disability benefits within reach. The opportunity is yours. Don’t hate yourself for missing out. Click here to Order this helpful guide today.